A few snaps from today! Our friends from Men’s Health Philippines swung by to tell us about the February issue with the handsome (and very pleasant) Alden Richards on the cover. Funny story, I walked into the booth still reeling from the preparations from our Boss’ birthday party and I’m welcomed by Alden, the Men’s Health crew and people from the GMA Artist’s Center. He was a little worried because his car broke down at Paragon! We tried to help him find jumper cables but in the end, they had to replace his battery. 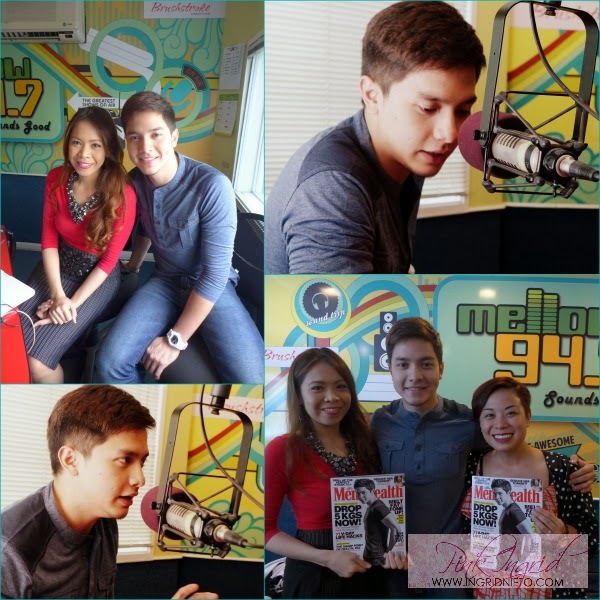 Still, Alden excitedly walked us through the whole experience of posing for Men’s Health. He also told us about his fitness regimen, how he’s able to focus and perform at his best as long as he sticks to proper diet, exercise and sports. He’s also very serious about his craft. He reads, watches and studies films and picks up whatever he can from them. Given the chance, he says if his schedule frees up, he’d love to take up a film making or directing course. “Carmela,” his teleserye with Marian Rivera just started airing and so far, their team-up has been received well. Check it out! 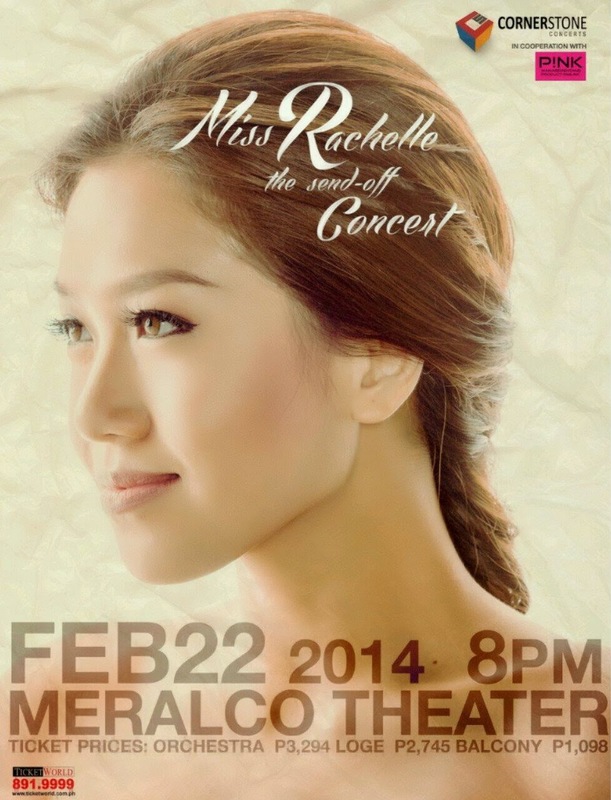 It’s Rachelle Ann Go! You all know she’s playing Gigi in Miss Saigon! 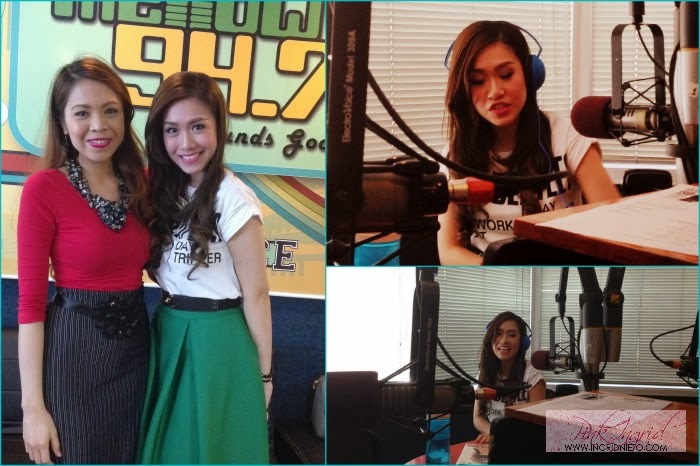 I’ve heard a lot about Rachelle Ann’s passion for God ever since she became a Christian. It’s good to know that she has an excellent support group at Victory where she continues to grow in her faith. Since she’s leaving for Miss Saigon in London and will be gone for a year, a send-off concert is definitely appropriate! 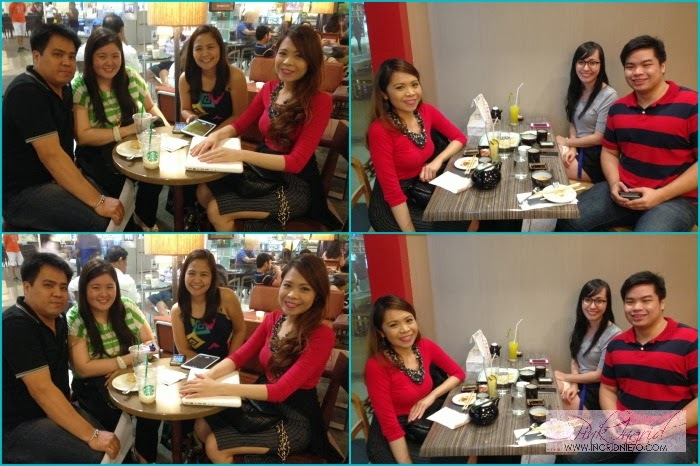 Left: Mitch, Ivy, Karmie of Events Simplified and me! had another meeting that night. The search is on for the best team of make-up artist and photographer!